2019 IIER 717th International Conference on Social Science and Economics ICSSE will be held in Manchester, UK during 18th - 19th September, 2019 as the Conference of ICSSE-2019. ICSSE 2019 is sponsored by International Institute of Engineers and Researchers IIER. It aims to be one of the leading international conferences for presenting novel and fundamental advances in the fields of Social Science and Economics. It also serves to foster communication among researchers and practitioners working in a wide variety of scientific areas with a common interest in improving Social Science and Economics related techniques. 2019 IIER 712th International Conference on Recent Advances in Medical Science ICRAMS will be held in Manchester, UK during 18th - 19th September, 2019 as the Conference of ICRAMS 2019 is sponsored by International Institute of Engineers and Researchers IIER. It aims to be one of the leading international conferences for presenting novel and fundamental advances in the fields of Recent Advances in Medical Science. It also serves to foster communication among researchers and practitioners working in a wide variety of scientific areas with a common interest in improving Recent Advances in Medical Science related techniques. 2019 IIER 721st International Conference on Advances in Business Management and Information Technology ICABMIT will be held in Manchester, UK during 18th - 19th September, 2019 as the Conference of ICABMIT-2019. ICABMIT 2019 is sponsored by International Institute of Engineers and Researchers IIER. It aims to be one of the leading International conferences for presenting novel and fundamental advances in the fields of Business Management and Information Technology. It also serves to foster communication among researchers and practitioners working in a wide variety of scientific areas with a common interest in improving Business Management and Information Technology related techniques. IASTEM - 655th International Conference on Economics and Business Management ICEBM will be held on 7th - 8th August, 2019 at London, UK . ICEBM is to bring together innovative academics and industrial experts in the field of Economics and Business Management to a common forum. IASTEM - 637th International Conference on Economics and Business Management ICEBM will be held on 7th - 8th July, 2019 at Edinburgh , UK . ICEBM is to bring together innovative academics and industrial experts in the field of Economics and Business Management to a common forum. RF - 551st International Conference on Science, Engineering & Technology - ICSET 2019It will be held during 19th Dec 2019 at Edinburgh , Edinburgh , United Kingdom organized by Researchfora The aim of the conference is to provide the platform for Students, Engineers, Scientists, Researchers and Academicians to share the knowledge and ideas in the recent trends in the field of Science, Engineering & Technology. 2019 IIER 765th International Conference on Social Science and Economics ICSSE will be held in London, UK during 7th - 8th December, 2019 as the Conference of ICSSE-2019. ICSSE 2019 is sponsored by International Institute of Engineers and Researchers IIER. It aims to be one of the leading international conferences for presenting novel and fundamental advances in the fields of Social Science and Economics. It also serves to foster communication among researchers and practitioners working in a wide variety of scientific areas with a common interest in improving Social Science and Economics related techniques. 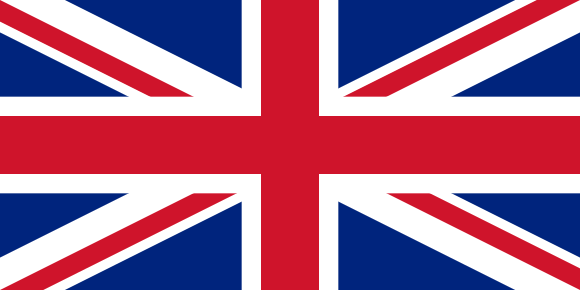 United Kingdom a young population with an economy on the move, transforming rapidly into a modern nation, needs a platform to plan and to translate those plans into reality. Today with a larger investments in science, research and developments which can intercept the growing necessity of modernization in social, health, security, scientific and economic sectors, need to have platforms like conferences, seminars , workshops n other related events which can throw light on different areas.